In the last one week or so, the question of whose responsibility it is to move the overtime cargoes from the seaports to the outer terminal of Ikorodu amongst others has dominated the Nigerian maritime space. While some were of the opinion that it is the responsibility of the Nigeria Customs Service to move the overtime cargoes to the outer terminal, many were of the opinion that the responsibility rests solely on the terminal operators. For the avoidance of doubt, cargoes according to section 31 of the Customs and Excise Management Act (CEMA) can be classified as overtime if such cargoes has stayed in the ports for an upwards of 28 to 30 days without the owners coming to clear them. The controversy over whose responsibility it is to move overtime cargoes from the ports to the outer terminal heightened last week when the Public Relations Officer of the Apapa command of the Nigeria Customs Service, Nkeiruka Nwala told newsmen in Lagos that the command lacked the capacity to transfer the overtime cargoes to Ikorodu owing to high cost of transporting cargoes out of the ports to some parts of Lagos currently. However, reacting to the argument, the founder of the National Association of Government Approved Freight Forwarders (NAGAFF), Dr. Boniface Aniebonam believed that the command’s spokesperson was quoted out of context adding that it doesn’t make sense when anybody alludes to the fact that customs does not have the capacity in terms of financing of the logistics inherent in moving such cargo from the conventional ports to the outer terminal. “Customs has no business in moving overtime cargo to the outer terminal. It is solely the responsibility of the terminal operators to do so. Before this time, the Nigerian Ports Authority has that mandate and you can open up section 13 of the Customs law. If you look at section 12 of the customs law, you will see, finally, go to section 31 of customs law. That section specifically is dealing on dwell time of cargo in the customs port. Any cargo that comes into the customs port has 28 days to be removed out of port control and where that did not happen, it enters overtime. “The only role customs needs to play is to direct the terminal operators to compile the list of uncleared cargoes and that is what is referred as UCL-Uncleared Cargo List and then move the cargo to the outer terminal which is again under customs control, for instance, Ikorodu terminal. So, I don’t think that anybody has any reason to bring customs into the matter”. Aniebonam, notwithstanding said that the fundamental question should be whether the customs actually direct the terminal operators to prepare the list of uncleared cargoes for onward transfer to the government warehouse at Ikorodu as the law demands. He continued,” I think what is lacking in our country is the political will to carry out this function. If you look at the section 8 of the customs law which deals with the power of an officer to effect arrest, then go to section 11 of the customs law which looks at the obstruction of lawful duty, in other words, for not exiting those containers when it is time barred, it is an obstruction to the lawful duty of an officer of the customs within the customs port. So, the political will there now is the capacity of the customs to enforce the regulation. Under section 11, I see that as obstruction. “There is an under belly of this matter which needed to be opened up and call for public attention. See, the terminal operators pay what is called cargo throughput for every container that lands at the port. Now, if they have paid, and that cargo becomes an overtime cargo, it means they have lost money. So, telling them to transfer that container to outer terminal, they will be looking at their loss. So, you can see something is wrong somewhere. But even at that, I just hope that one day, the CRFFN Board will be inaugurated because the Council is an agency of government and they will get there to resolve some of these issues. The CRFFN as it were has a tribunal, it has enforcement unit, so, it is about going there to apply and see how we can bring about the coercive power of the government because that is what makes the government different from any of us”. Aniebonam who is also the National Chairman of the New Nigeria People’s Party (NNPP) posited that by the provisions of the law, if the cargoes were not moved out of the port control within the time limit of 28 day to 30 days, then that cargo was being constructively warehoused in the customs port, in which case demurrage would no longer be paid but rent adding that the rent was what was supposed to be paid at the outer terminal when the cargo had been transferred to the place. “So, the terminal operators wouldn’t want to lose that money they have expended. So, we need somebody with the political will to implement the law. Even as am talking, they are collecting the demurrage which is illegal money because if we don’t respect the law, then we don’t get a good society. So, who has this interest of not obeying the law? The warehouse code made it mandatory that even as you transfer the cargo to the outer terminal, all the duty payable on that container must be paid to the customs plus the rent and other charges inherent in such operation”, he explained. On his part, the National Vice President of the Association of Nigerian Licensed Customs Agents (ANLCA), Dr. Kayode Farinto alluding to Dr. Aniebonam’s view said,” I don’t know why this issue is generating controversy because it needs not to generate controversy. CEMA empowers the Nigeria Customs Service to mandate the terminal operators to prepare uncleared cargo list and once that directive is given to the terminal operators, it is their responsibility to generate the uncleared cargo list and forward it to every Area Controller who now approves the movement to Ikorodu and who does the movement? It is still the responsibility of the terminal operators”. On why the Customs seemed so reluctant in issuing the directive for the list to be prepared, Farinto said,” It is politics, they are playing politics. It is just recently that we have the ACG who is in charge of this zone who actually insisted that they must transfer the overtime cargo to Ikorodu. Before now, everybody has been playing politics with it because of the pecuniary gains because there is a lot of secrecy surrounding this issue. However, the ACG insisted that every Area Controller should direct the terminal operators under their commands to generate the UCL for onward transfer to Ikorodu. So, the onus now lies with the various Area Controllers to make it a matter of compulsion for the various terminal operators to move these containers to Ikorodu. “However, if the cost of transporting the cargo to Ikorodu is the problem, because nowadays, transport fares have skyrocketed to over 3,000 percent, alternatively, the terminal operator at Ikorodu, that is Sapid can be given express approval to move those overtime cargo to their terminal so that when the owner of the cargo comes to carry it, he will now pay for the cost of transporting it to the terminal. Sapid can move it either by road or by water through the use of barges. Even with barges, it will be cheaper. Sapid will do that because it will actually charge for the service and if it is in Ikorodu, Sapid can also charge for storage, that is where the owner comes forward to collect his cargo. However, where he didn’t come forward, it is auctioned and once it is auctioned, the charges are transferred to the beneficiary of the consignment. “Don’t forget that even the shipping company is not losing money by virtue of the new arrangement in the auction where shipping company collect 25 percent of the value of the auction. It shouldn’t generate any controversy, it is not the responsibility of the customs to move the overtime cargo, customs will only give directive but I am yet to see the directive from all the Controllers but I have seen the directive from the Zonal Coordinators and I will give him kudos for that”. On how the terminal operators would fare should cargoes be move to government warehouse at Ikorodu having paid for cargo throughput and may be losing money if those containers were not cleared within the 28 days period, he added,” That is their problem. In advanced countries, if you have a cargo that is over staying in your terminal and maybe due to storage charges, the importer could not take that cargo, what they do abroad is to say they are giving about 70 percent flat rate discount for people to come and carry their cargo but the terminal operators here want to make sure that they collect their storage charges to the later and it is a risk. In business, it is either you win or you lose, you win some, you lose some. So, because they are gullible, they will lose a lot of money. “That is why I told you that they are very gullible because they want to make sure that they collect their money to the last penny and whoever is doing that is not a good investor. If they are good investor, what they should do is to grant some discount for people to come and collect their cargo and that is why people are not coming forward because they are not actually encouraging them. Lots of circumstances can make a lot of people to abandon their cargo. It is not everybody that is making the port a storage place, even delayed generation of PAAR sometimes can make the cost of clearing cargo to skyrocket”. When asked what could be done to move the overtime cargoes to Ikorodu in order to avert looming congestion, Farinto who is also the Managing Director of Wealthy Honey Investment Limited said,” I am praying for us to have congestion, when we have congestion, Mr. President will come down himself and we will tell him that the various Area Controllers are playing game. I need not to tell you the politics that is behind this thing. Most of the Area Controllers deliberately refused to allow this UCL to be generated because some of the terminal operators have given them money. I stand to be corrected, I told the CGC and that was why the CGC gave a marching order that they should generate the UCL”. 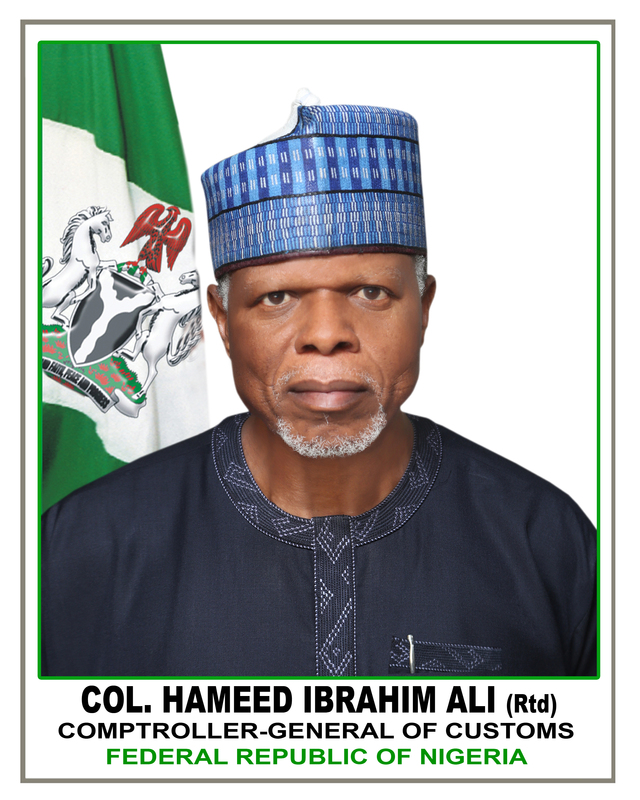 Meanwhile, the Public Relations Officer, Apapa Customs command, Nkeiruka Nwala informed that the Customs Area Controller of the command, Comptroller Abubakar Bashir was currently discussing with the Nigerian Ports Authority (NPA) and the terminal operators to assist the customs to move the overtime cargoes to Ikorodu. “The Controller has met with NPA Port Manager but the question is who will foot the bill the containers have accumulated? There are some that have been here before the terminals were concessioned. We are gathering the figure on the number of overtime containers”, she said. Send your news, press releases/articles to augustinenwadinamuo@yahoo.com. Also, follow us on Twitter @reportersinfo and on Facebook on facebook.com/primetimereporters or call the editor on 07030661526, 08053908817.